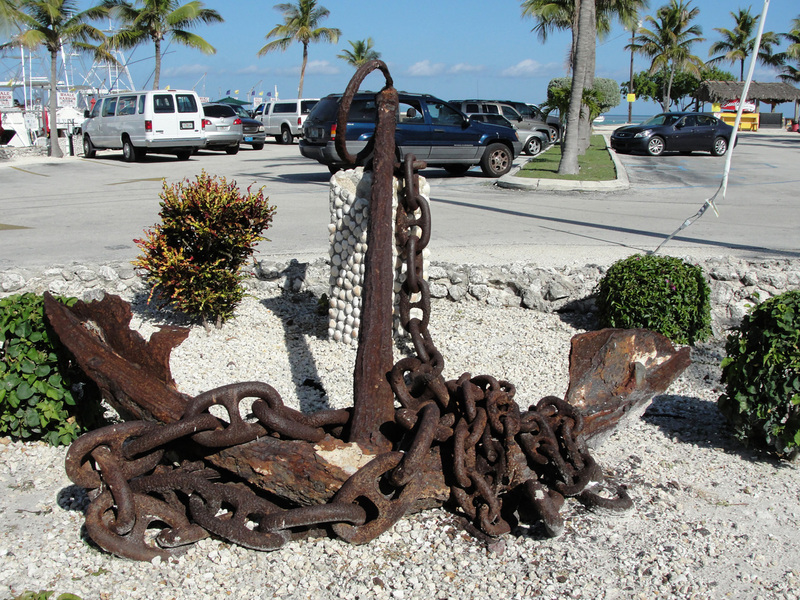 A Key Largo, Fla., high school student has successfully documented 160 anchors and cannons along a 200-mile stretch of U.S. Route 1 highway, creating possibly the most comprehensive documentation of topside maritime artifacts in the Florida Keys. The roadside artifacts, salvaged decades ago from the waters of Florida Keys National Marine Sanctuary, provide an opportunity for visitors to appreciate the Keys’ rich maritime history without getting wet while highlighting the importance of conservation. Florida Keys National Marine Sanctuary is home to hundreds of submerged cultural resources, including well-documented and renowned shipwrecks. 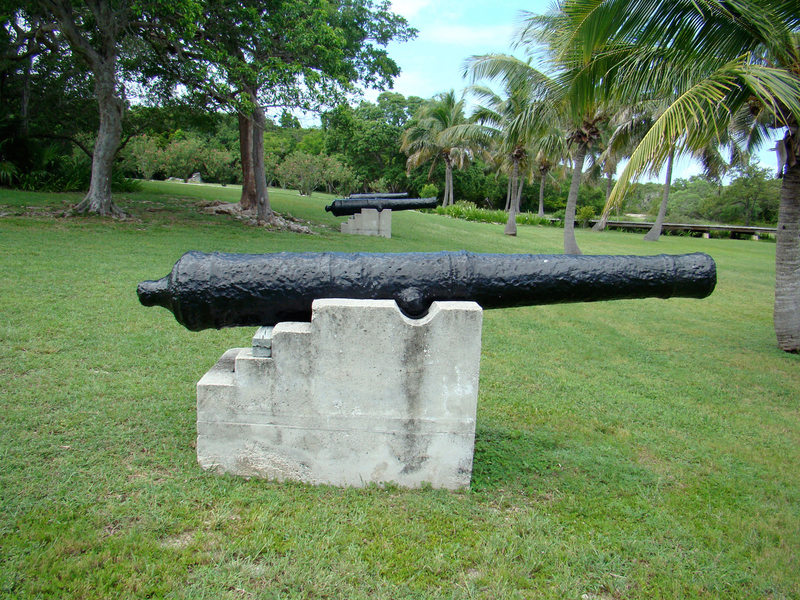 Salvaging of anchors and cannons, and displaying them in front of business along the highway, was a common practice in the Keys in the 1950s and 60s before conservation laws were enacted to protect these cultural treasures. "There are important pieces of Keys’ maritime history resting outside restaurants and gas stations throughout the Florida Keys," said Brenda Altmeier, sanctuary program support specialist. "Several decades ago, salvaging without proper preservation was common. Luckily, modern laws protect these important cultural artifacts, ensuring their availability for future generations." The 63 anchors, 77 cannons and other maritime artifacts that have not been conserved may eventually decay and disappear, but thanks to the dedication of high school student Kieran Magrane, the intrinsic value of these rare artifacts will not be lost. Magrane, a junior from Coral Shores High School, in Tavernier, Fla., and his father spent 135 hours over 12 months, photographing, measuring, and recording GPS coordinates and the condition of artifacts found along the roadside, as well as compiling histories of the objects from business owners and residents. The artifacts were spread from Ocean Reef in the upper Florida Keys, to Fort Jefferson in the Dry Tortugas. All information and photographs were part of a final report presented to the sanctuary as a donation of their time. Magrane noted that the best collections were found in state and national parks where the artifacts were properly conserved and displayed, but there are also some good examples in front of businesses that with proper conservation could serve educational purposes. "Each year several million people travel along the Florida Keys Scenic Highway and these artifacts, if properly identified and interpreted, could be of interest to Keys visitors," said Nancy Diersing, sanctuary science interpreter, who represents the sanctuary as an advisory board member on the Florida Keys Scenic Highway Corridor Alliance, a non-profit that helps educate visitors traveling along the highway. Florida Keys National Marine Sanctuary protects 2,900 square nautical miles of critical marine habitat, including coral reef, hard bottom, sea grass meadow, mangrove communities and sand flats. NOAA and the State of Florida manage the sanctuary. Visit us on Facebook at www.facebook.com/floridakeysnoaagov.